Matters involving wrongful death are often linked to motor vehicle accidents as a result of the negligence of one or more drivers. 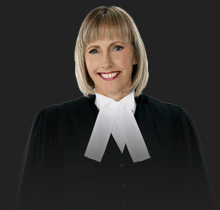 In cases where lives are lost as a result of a motor vehicle accident arising from negligence, children, spouses, and other family of the deceased may be entitled to wrongful death compensation under Ontario’s Family Law Act. Compensation for actual expenses incurred for the benefit of the deceased (e.g. medical treatment, travel expenses, medication, funeral expenses etc.). A factor to be considered when attempting to quantify the amount of wrongful death compensation is the nature of the relationship(s) with the deceased and the age and living arrangements of the Family Law Act claimants at the time of the accident. Loss of companionship must consider the bonds and experiences that spouses, parents, children and siblings share in he course of a lifetime. As of current, the highest award for loss of guidance, care and companionship is in the range of $125,000.00 per claimant. 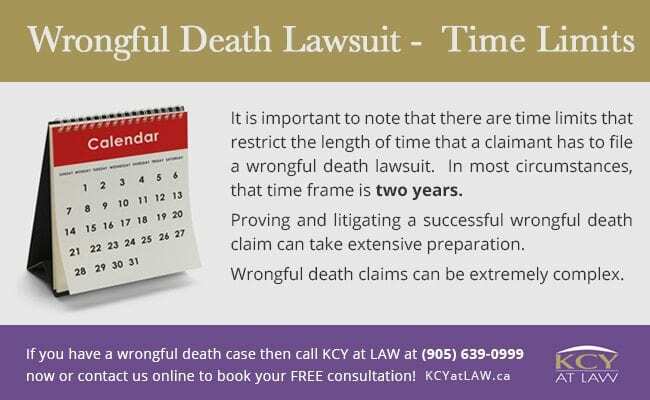 It is important to note that there are time limits that restrict the length of time that a claimant has to file a wrongful death lawsuit. In most circumstances, that time frame is two years. Proving and litigating a successful wrongful death claim can take extensive preparation. Wrongful death claims can be extremely complex. 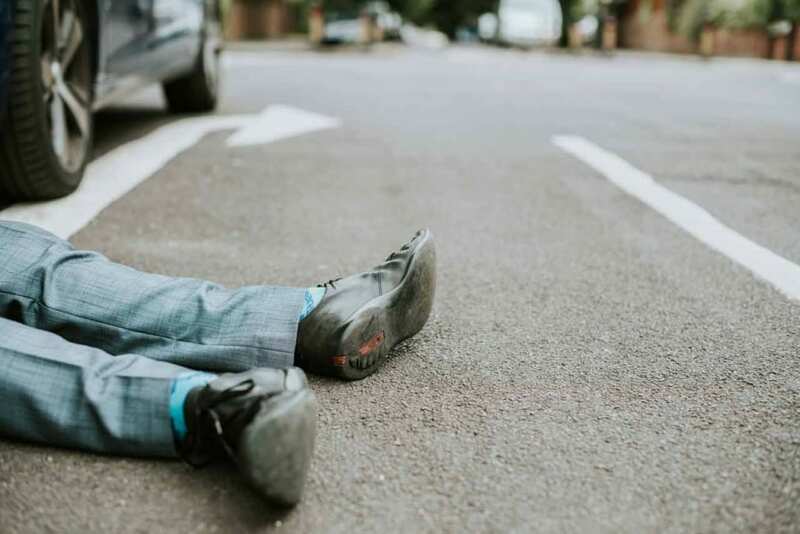 If you have a case in which a family member of yours was killed as a result of the negligence of a motorist, it is crucial that you speak with a lawyer who has wrongful death lawsuit experience and the expertise necessary to effectively handle and navigate this complicated area. 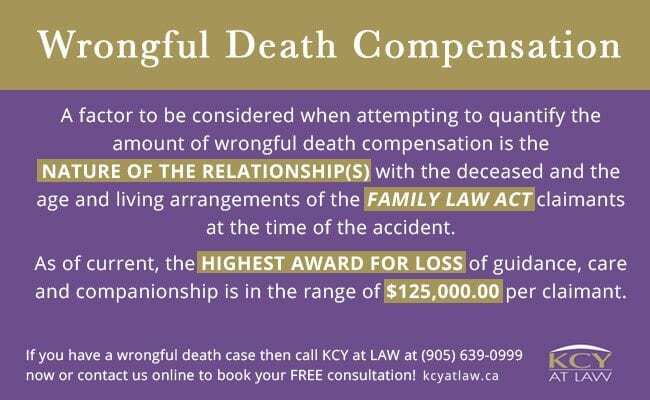 Call KCY at LAW at (905) 639-0999 now or contact us online to book your FREE consultation!